Part 2: Do Customer Loyalty Programs Really Work? In part one we explored the different types of loyalty programs. From points based to punch cards, It’s fair to say that when you begin developing your loyalty program, a one-size-fits-all approach can fall flat if you aren’t considering the long-term results desired by customers as well as your business. Let’s explore some more considerations for what constitutes an effective customer loyalty program. Does Money Talk? Usually, But Not Always. Financial incentives are arguably successful, but the key to long-term success is not to focus on money, per se. Why else would research show 77% of programs that deal only in discounts usually fail in the first two years? Rather, focus on building a long-term relationship with your customers, even if your loyalty program has a money-saving component! That’s because loyalty programs are a great way to not only engage your customers and motivate them to spend more, but to improve the all-important customer experience. A well-crafted loyalty program is a means to showcase your excellent customer service while providing an opportunity to focus on customer relationships—by meeting their needs with benefits they really want, of course. 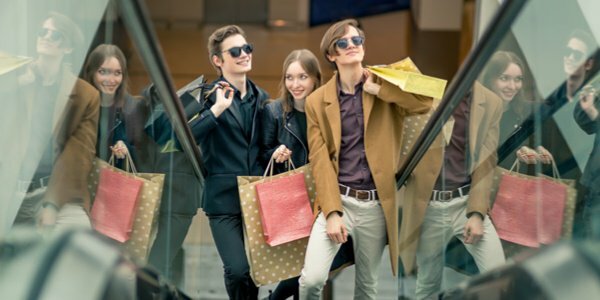 Research suggests that this is an especially winning strategy for millennial consumers, who tend to value non-monetary benefits more than older loyalty program participants. Sharing Values. Today’s customers are looking to do more than just spend money: they’re looking for an emotional connection with your business—or at least your product or service. Preferably both. They want to identify the values they share with your brand. That’s what makes a loyalty program structured around those values, such as one that incorporates a charity donation with each purchase, so successful in connecting with customers, keeping them engaged with your brand, and coming back to buy (and give) more. Getting Social. With the internet and social media, you have a unique opportunity to get to know your customers and reward them in new and exciting ways. You can reward customers for reviewing your products or services or by sharing a special post on social media. Giving your customers a “voice” generates helpful feedback for potential customers who are searching for the solutions you offer and produces great exposure for your brand. And you can reward these activities through your loyalty program. Just make sure you’re following the “rules” regarding endorsements and testimonials. Research has shown that it can be 5 to 25 times more expensive to bring in new customers than it is to retain your existing ones. That speaks to the importance of keeping your existing customer base satisfied and coming back for more. Keep this in mind when you develop a loyalty program because you’ll want to make sure it appeals to new customers as well as customers who have been loyal for a long time (with our without loyalty program benefits!). One way to leverage new and existing customer relationships is a referral-based loyalty program. You can reward your existing customers when they refer a new one and there’s an advantage there. As we touch on in Understanding & Unlocking the Value of Customer Referrals, customers who are referred by a loyalty member have a 37% higher retention rate. And not only can those loyalty members refer friends, but those friends are more likely to stay loyalty members themselves. When approached strategically, a customer loyalty program can be a powerful business driver. By connecting you with your customer on a deeper level—and rewarding them for their loyalty with monetary or non-monetary benefits—you’re increasing value for both parties, enhancing each customer’s experience while increasing your revenue along the way. And isn’t that what you’re in business to do in the first place?